Some of the games do have the potential to be compelling and absorbing, but something gets lost along the way and the game doesn't have any chances to become one of the best. Something similar could describe Soul Journey. It seems like there are some really good points, but at the same time it is just not enough. Anyways, hopefully this short review will help you see what the game is all about. The man is willing to accept the deal, and, so, the first body he indwells in that of a dog. You play as a young man, who was unlucky to get electrocuted in the shower. But at the same time he was lucky not to die, but to get into a coma. Later you start to wonder if that really was luck because of the things he now has to do. So, back to the story. His soul gets separated from his body and meets one of the angels that tells him that he has a chance to get back to life if he accomplishes a number of tasks travelling from one body to another. The man is willing to accept the deal, and, so, the first body he indwells in that of a dog. After that you will get to be an old lady, a girl, a cat etc. Each of the characters you play as has their own tasks to be accomplished. The tasks a tied to the characters' basic needs? like, to go shpping or to find some food for the dog. Most of that is achieved through solving some classic puzzles (jigsaw or rotation puzzles, for example) or hidden object levels. 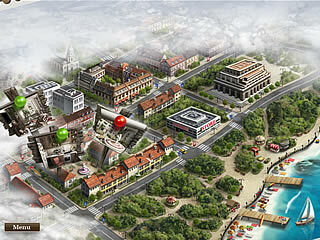 The hidden object levels follow the typical path. You are given a list of items to find in a clattered scene. These levels vary in their difficulty level making some of them extremely challenging, while others are really simple. One of the frustrating things is that sometimes you have no idea what to do next. So you are just doomed to go back and forth in the areas available to you. 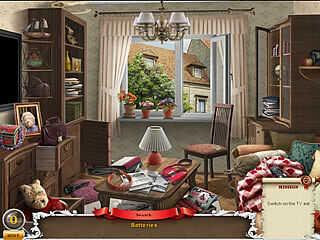 Then you might also find it weird in how the items are given or hidden in the hidden object scenes. So be ready to use your imagination and skills. That is the game in a nutshell. You night want to try the free one-hour game before getting this one. This is Soul Journey review. Download this game here.